Most know commencement speaker Danai Gurira ’01 from her role as Michonne on AMC’s The Walking Dead. Before she was fending off zombies and disagreeable humans, she was a psychology major at Macalester with passions for theater and activism. Danai was born in Grinnell, Iowa and lived there until she was five. When Zimbabwe gained independence, her family packed their bags and made a home there. Gurira completed her primary education at a small Catholic school and then ventured back to the Midwest to attend college at Macalester. While here, Gurira regularly participated in staged productions. She also cared deeply about psychology and was a member of both the Black Liberation Affairs Committee and the African Students Association. Beth Cleary, an associate professor of theater, remembers Gurira stood out in her first year. “It was obvious to me that she came here with a deep commitment to theater and what it’s capable of,” Cleary said with a smile. An old theater adage says that actors ought to take every role they can get their hands on; after all, it might be “the one.” Something that distinguished Gurira at Macalester was her conviction against this mantra. Part of her commitment to a careful selection of roles stems from an appreciation for the power of her platform. 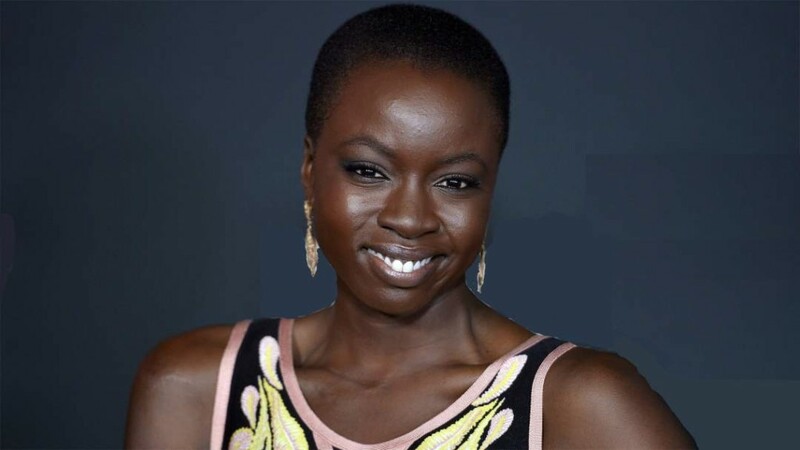 Though Gurira’s leading role on The Walking Dead may beat her other works in terms of viewership, Cleary repeatedly mentioned Gurira’s talents as an actress in other roles as well as her ability to write a good play. Part of Gurira’s psychology honors project involved a performance in a black box theater. This production would eventually become her Obie award winning play In the Continuum which tells the story of the impact of AIDS in Africa through two women. Gurira’s commencement visit in May won’t be her first return to Macalester. Cleary recalls a time when she caught wind that Gurira was in St. Paul from New York to renew her driver’s license. Though she was only in Minnesota for 48 hours, much of which was to be spent at the DMV and with her aunt, she squeezed in time to visit her alma mater and give a guest lecture. When Gurira walked into the classroom, the students were awestruck. She had already become a television star and the class had recently read Gurira’s Eclipsed, a play which details the survival of five women at the end of the Second Liberian Civil War. Gurira recognized that they were eager to listen to whatever she had to say and immediately jumped into the nitty gritty. She talked about the finer details of structure, plot and linking history with fiction and character. Just like Cleary was the first year she taught Gurira, the students were impressed. According to Cleary, this year’s graduating class is lucky to hear Gurira speak. She says that, like Gurira, many Macalester students have an active understanding of their position in the world, whatever it may be. Cleary believes that Gurira can act as a role model. 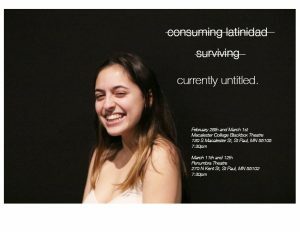 “I think that Macalester students are primed through their coursework and internships to proceed into the world with a certain amount of learned modesty and continuing commitment and a way to achieve their platform. Danai is a great beacon of sorts for that kind of work,” Cleary said. In her speech at commencement this year, Gurira will undoubtedly leave the Class of 2016 with wisdom, inspiration and a greater appreciation for Macalester, and maybe even a little advice on combating the undead.